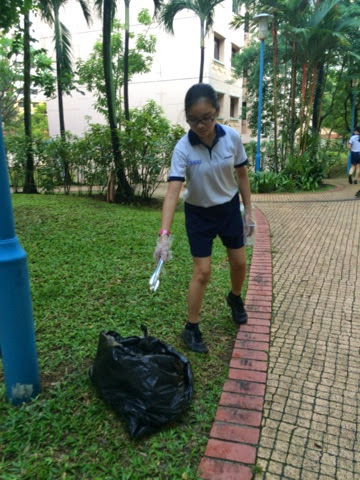 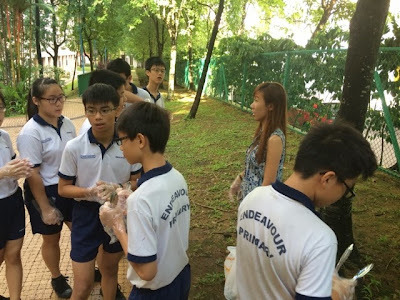 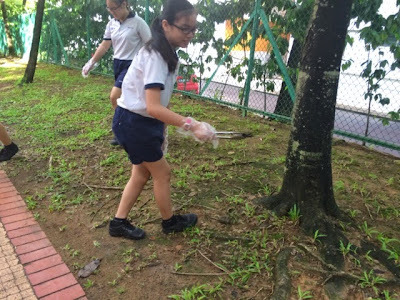 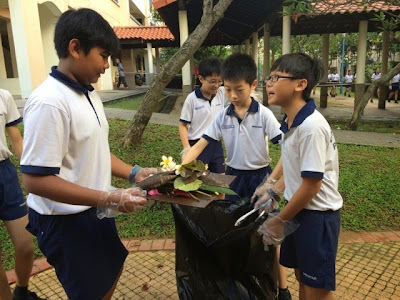 This morning, students from Primary 6B participated in the "Litter Picking" activity. 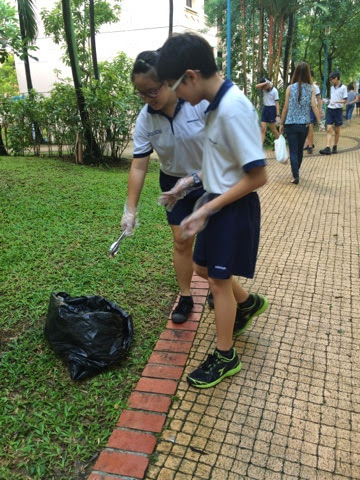 They went around the surrounding estate in small groups to pick up litter and rubbish. 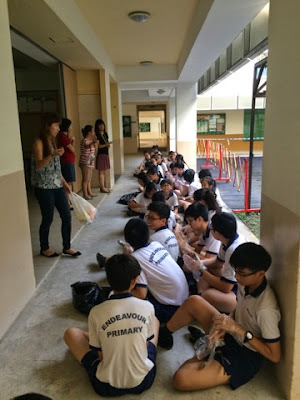 This is part of their Value-In-Action (VIA) activities to allow the students to take ownership of the cleanliness in their neighborhood. Last week, several other classes have also done their part to clean up the area around the estate via this "Litter Picking" activity.